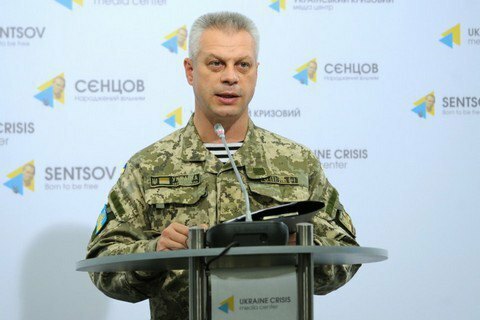 The Ukrainian Army sustained no losses over the past 24 hours in the anti-terrorist operation (ATO) zone in Donbas, eastern Ukraine; no Ukrainian soldiers were wounded, the spokesman of the Presidential Administration on ATO Andriy Lysenko said on Monday, 12 September. “No Ukrainian soldiers were killed or wounded as a result of combat actions over the last twenty-four house,” Lysenko said. According to defence ministry, the confirmed enemy losses for September 10-11 made up four dead and five wounded in all sectors. Over the past day, the militants 37 times breached the ceasefire in the ATO zone in what was described as "mostly unsighted and provocative attacks".